Back-to-school means busy days. 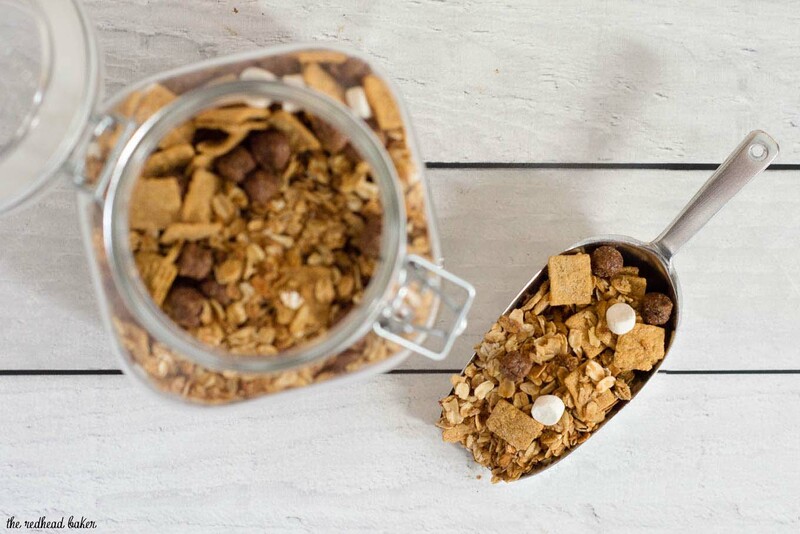 Make a batch of this S’mores Granola made with HONEY MAID® S’mores so you always have a snack at the ready. It’s almost back-to-school time! My son is heading to kindergarten this year, and he’s so excited! We’re buying a backpack and a lunch box, school supplies and school uniforms, not to mention name tag stickers to put on everything. And after all that, I started thinking of budget-friendly ideas for lunches and snacks. A favorite snack of all members of our family is granola. It’s easy to grab-and-go, and the flavor can be customized to each person’s taste. And best of all, it’s easy on the wallet. 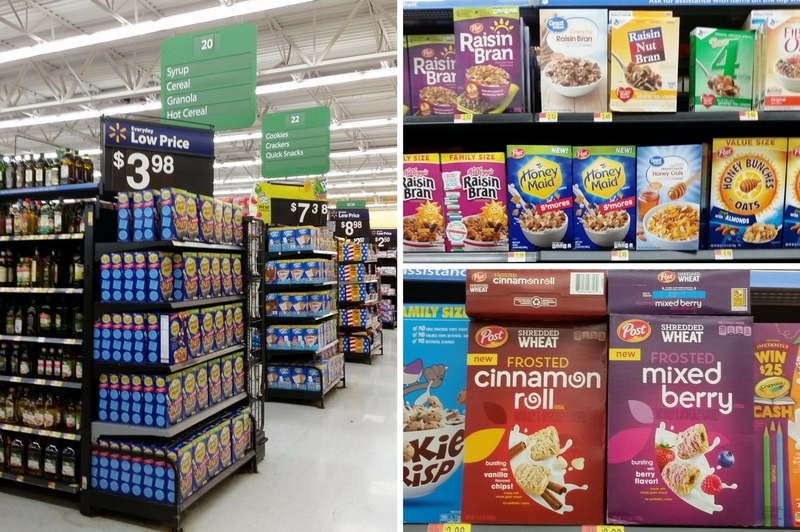 Take a family trip to Walmart to stock up on everyone’s favorite Post cereal flavors. 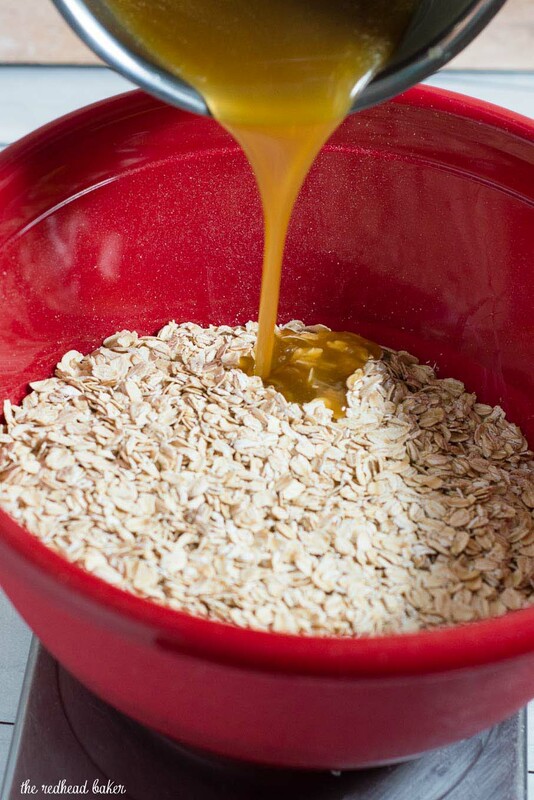 It starts with just five simple ingredients: rolled oats, brown sugar, butter, honey, and vanilla. From there, Post Consumer Brands has a wide variety of cereals, located in the cereal aisle of your local Walmart, to add to your granola. If you don’t all want the same flavor, you can make the granola, divide it into containers, and customize it to each family member! 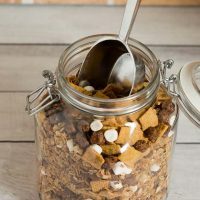 We’re not quite ready to let go of summer by the time school starts, so I added HONEY MAID® S’mores cereal, with squares of graham crackers, marshmallow bits and chocolate cereal pieces, to the granola. It provides all the flavor of s’mores without the mess! Enjoy this granola as an after-school snack, or pour some into a plastic bag to tuck into child’s lunchbox have as a snack at school. Our, pour some in a bowl, pour on some milk, and enjoy for breakfast! Want to make your own homemade granola flavored with Post cereals? 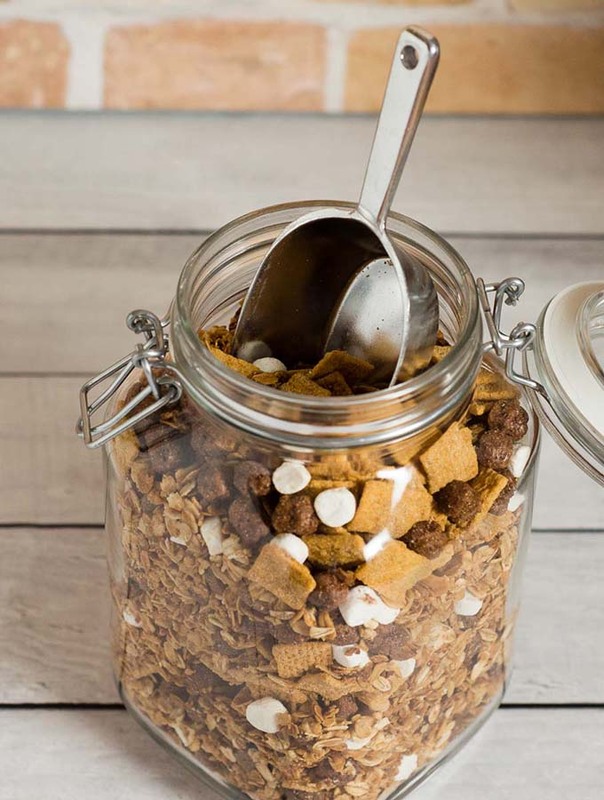 Hover over the photo above to shop these versatile cereals like Shredded Wheat Frosted Cinnamon Roll, HONEY MAID® S’mores and Cinnamon PEBBLES™. Visit the #CerealAnytime Pinterest page to get more recipe ideas using Post cereals. Earn $1.00 cash back when you purchase Post Shredded Wheat cereals at Walmart with this ibotta offer. Make sure to check out more exciting offers for other Post cereal varieties like Great Grains and Honey Bunches of Oats Strawberry! Preheat oven to 350 degrees. Line a sheet pan with a silicone baking mat, or spray with nonstick spray. In a large bowl, stir together the oats and brown sugar. Place butter and honey in a small saucepan. Over medium heat, warm the mixture just until the butter melts, stirring frequently. Remove from the heat and add the vanilla. Set aside for 10 minutes to cool. Spray a spatula with nonstick spray. Pour the cooled mixture over the oat/brown sugar mixture. Fold until the dry ingredients are moistened. Spread on the prepared pan. Bake for 30 minutes, stirring every 10 minutes, until the mixture is golden brown. Place the baking sheet on a wire rack to cool the granola. Once the granola is cool, add the HONEY MAID® S’mores cereal to the baking pan. 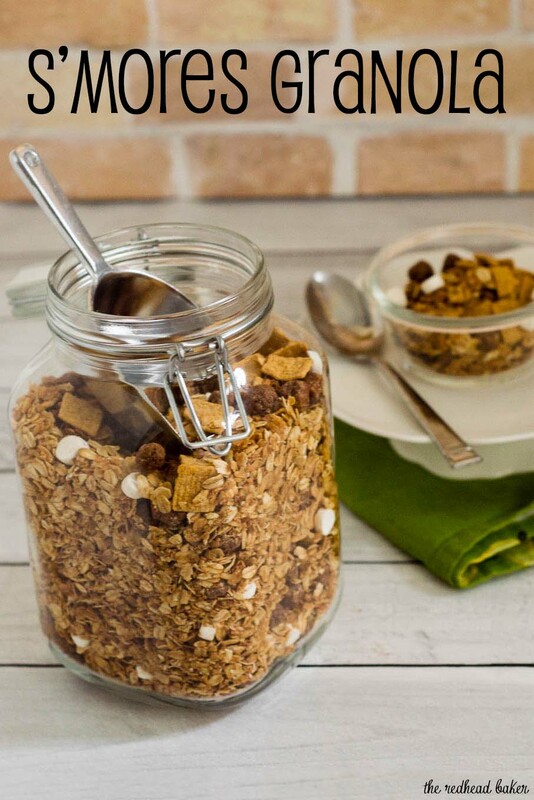 Transfer the s'mores granola to an airtight container to store for up to 3 weeks. THE FLINTSTONES and all related characters and elements © & ™ Hanna-Barbera.